I have to say the idea of having HoneyBaked Ham cook the Easter meal so we can send more time actually enjoying the people we are celebrating with seems to be a no-brainer. 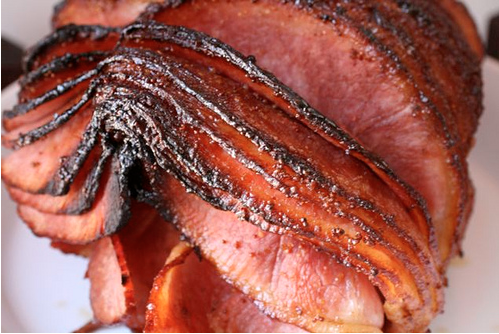 "Slow-roasted and smoked, every HoneyBaked Ham is glazed by hand with the signature, sweet, crunchy glaze and has that one-of-a-kind taste that everyone looks forward to." I don't think there is any way my foil baked ham in the oven while we're at church can compete with that. NOTE: Offers valid only at participating retailers.